Happy Veteran’s Day to all who have served and are currently serving. 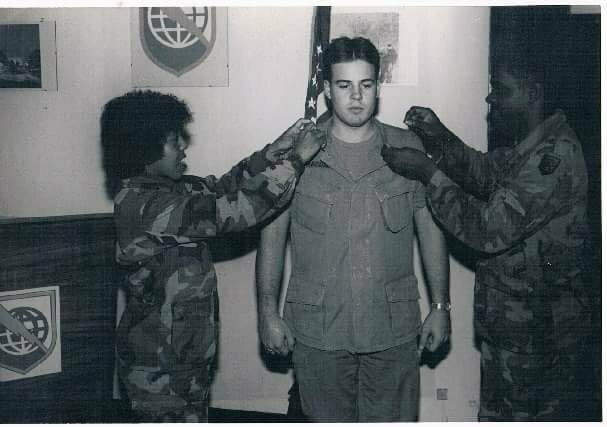 Here is a picture of my dad getting promoted to Sergant back in September of 1986 . I was only about 6 weeks old at this time. Always have been very proud of him. Next Next post: Sensory Friendly Time : Museum Of Science and Technology.